Besides the clothes and accessories on the runways, one of the most important parts of a designer’s show are the beauty looks that they opt for. Make-up helps to subtly convey the mood of the collection, either by directly reflecting the clothes on offer or by forming a sharp contrast. In the A/W 2015 shows, for example, Chloe opted for pared back makeup that complemented the neutral and rosy hues that were incorporated into the collection’s key pieces. On the other hand, Phoebe Philo at Céline splashed dramatic hints of turquoise and aqua onto the eyelids of models sporting delicate creams and off-whites. Make up, therefore, is an important expressive tool that can be used to capture and pin point a specific mood or feeling in a collection. This doesn’t just apply to the realm of the runway; although we have seen some iconic beauty creations at fashion week, some classic beauty looks worn by style icons have been cemented into our cultural consciousness for a good reason. 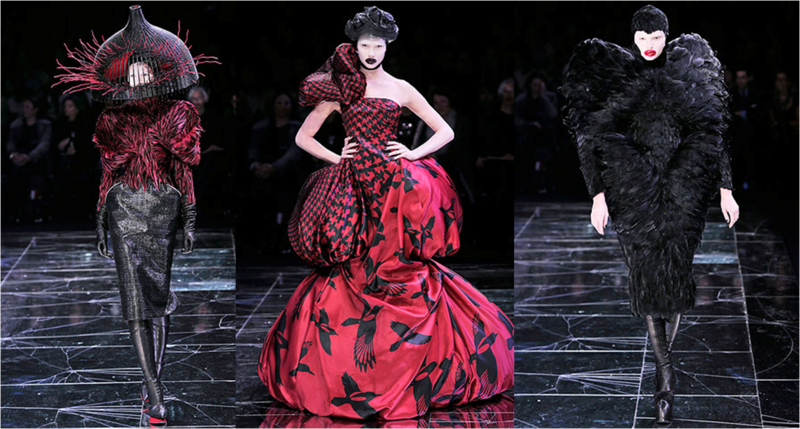 Alexander McQueen was an innovator, and this bled into all areas of his runway looks, in both his makeup and accessories. One of the most iconic collections he produced came in his A/W 2015 collection ‘Horn of Plenty’, and this was largely thanks to the unique make up styles his models adopted. To contrast with the refined and polished ensembles, he painted his models’ faces white, used white eye makeup and splattered grotesque red and black lipstick both on their lips and on the area immediately around their lips. The effect is unnerving and destabilising; he consciously ruins what could be refined, sophisticated looks to create something altogether more macabre and savage. Make up, therefore does not just beautify, it can also obscure and destroy. One of the most iconic women of all time, Marilyn Monroe’s signature beauty look heavily contributed to the cultural reception of her. Women are still desperate to replicate Marilyn’s signature beauty look and she even reappears (albeit controversially) over fifty years after her death in contemporary beauty advertising campaigns for example in Dior, Chanel and Max Factor. Marilyn’s look consists of platinum blonde hair perfectly coiffed into large curls, a simple line of eye pencil, a beauty spot on her cheek and a healthy dose of perfectly applied red lipstick. It is simple but there is beauty in the simplicity and it is a look that elevated her above all of the other starlets at the time. Channel Marilyn’s unique looks at this wholesale clothing supplier. shadow. Boy George was not afraid of colour, creating vibrant designs with bright blues, yellows and greens, using ample eye liner and blusher before finishing with popping lips. 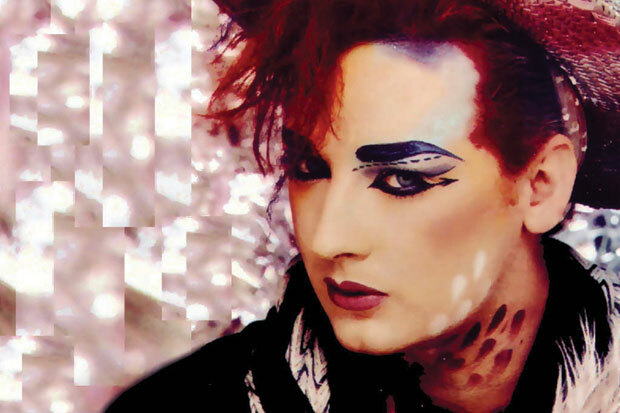 Makeup was and still is a great way for Boy George to express his fluid personality and characteristics, perfectly reflecting the lyrics of his hit song ‘Karma Chameleon’.